Martin Luther King Jr. (MLK) is one of the most important American figures to this day, and every second monday of January day of remembrance for his contributions to the nation. 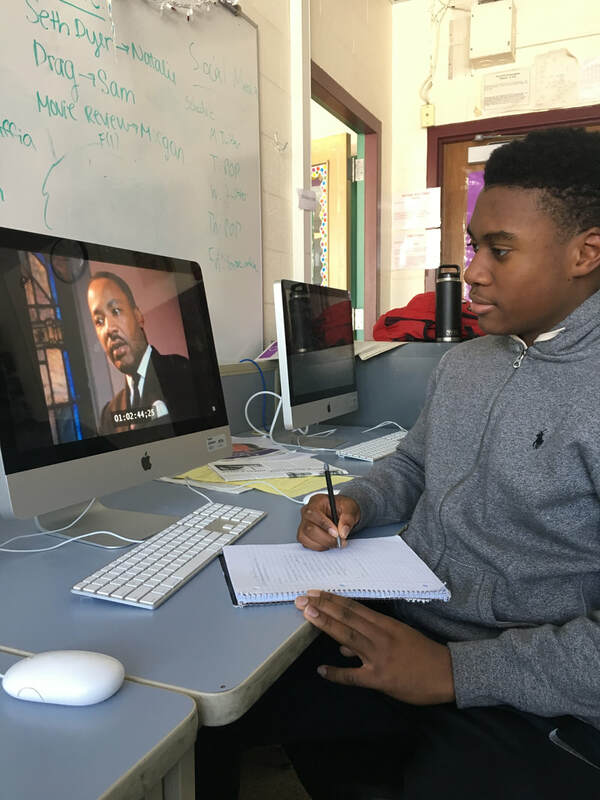 History classes around the nation study his famous March on Washington, and his “I have a Dream” speech has been listened to millions of times. Many students take note of this date because it is a day off from school, but to several others it means a lot more. ​Read more on the News page. 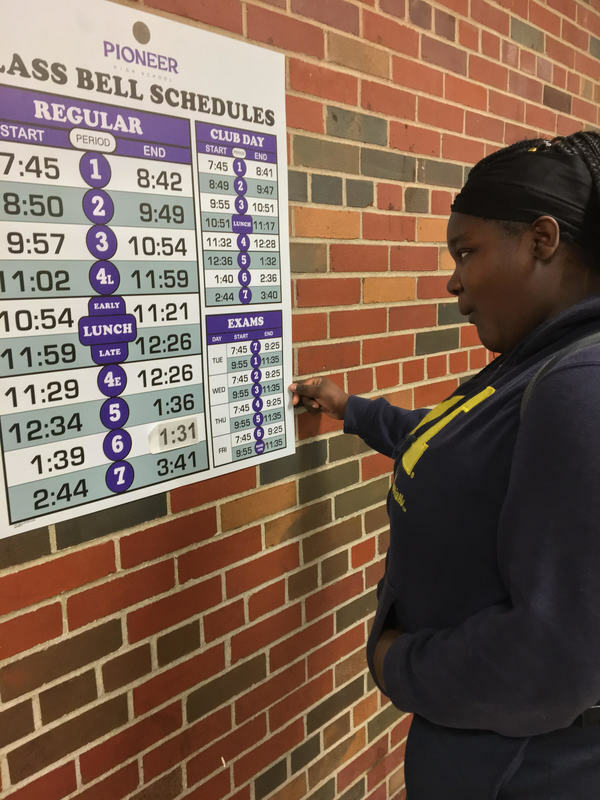 9th Grader Serinity Johnson is shocked by the new schedule. Many students at Pioneer High School are just discovering the new exam schedule, but the Building Advisory Team at Pioneer is already deciding whether or not they should change it again. Not only are students concerned about their lack of a day off, but teachers are concerned that they will not have time to grade their assignments. The final exam schedule that we are all used to has been changed this year. It use to be that on Monday, classes were shortened, giving plenty of time for the seventh hour exam at the end of the day. On Tuesday, students took their first and second hour exams. Wednesday and Thursday also had two exams per day, leaving Friday for make-ups. Most students found that they were able to stay at home on Friday and debrief from the long first semester. BE BOLD. BE EXTRAORDINARY. BE A PIONEER.